Qualter Hall is delighted to announce that they had a fantastic 2015 with several contract wins to add to an already busy order book. Qualter Hall was founded in 1860 and has a heritage in servicing the deep mining industry. Over more recent years, the company has diversified its core skills and now employs over 130 people dedicated to mechanical, structural, electronic, electrical, hydraulic and production engineering. The company has built up a renowned reputation for providing a unique service in the field of bespoke, turnkey project engineering both in the UK and Worldwide, on a vast range of products. Qualter Hall, along with main contractor CH2M and a number of other partners, has successfully secured a 10 year framework agreement with the Environment Agency (7 years with option for further 3 years) to deliver one of the world's largest flood risk management programmes, Thames Estuary Asset Management 2100 (TEAM 2100). 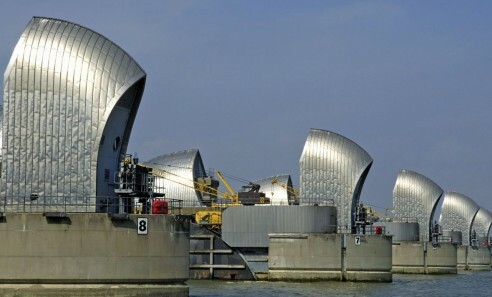 The existing tidal flood defence system extends from Teddington in West London through to Sheerness and Shoeburyness in Kent and Essex, protecting 1.25 million people and £200 billon worth of property and is formed from over 3500 assets, including the iconic Thames Barrier. The project involves the management of fixed and active structures on the Thames Estuary including eight major flood barriers, numerous flood gates, outfalls, pumping stations and major civil embankment works. Qualter Hall's role is the lead Delivery Team Partner on the upgrade and refurbishment of the eight major flood barriers including the Thames Barrier, Barking Barrier and Dartford Creek Barrier. In addition, Qualter Hall has a secondary role to provide M & E support on the smaller flood gates, outfalls and pumping stations. TEAM2100, main contract on CH2M valued at £300 million, is delivering the first 10 years of capital investment in the tidal flood defences as recommended by the TE2100 Plan. The plan, delivered by the Environment Agency, aims to protect London and the Thames Estuary from current and future flooding through to 2100. 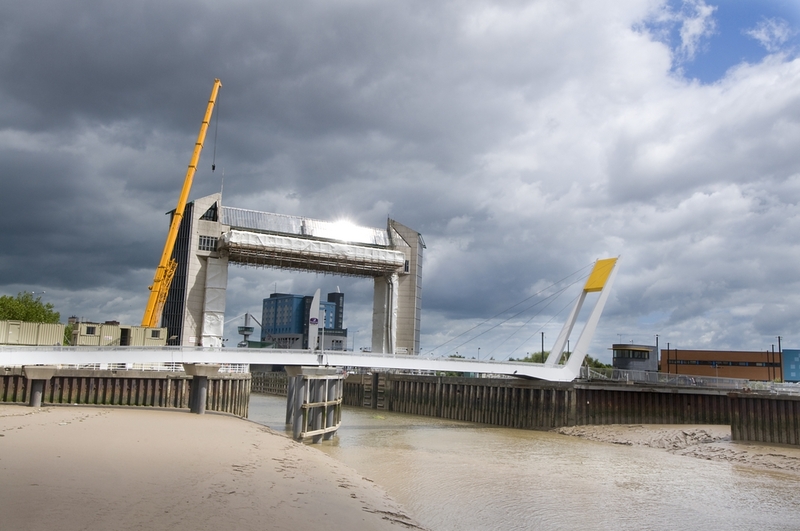 The Hull Tidal Surge Barrier is a vital flood defence, protecting thousands of properties in Hull and the surrounding area. In 2010 Qualter Hall completed the major refurbishment of the Barrier for the Environment Agency including the total replacement of the drive mechanism with a completely new modern design, with all new equipment being fully assembled and tested at the Qualter Hall facility in Barnsley, prior to installation on site. The contract also included the provision of a 3 year maintenance period following on from takeover. Qualter Hall have now been awarded a new contract covering a further 4 years of continuing maintenance of the Hull Tidal Surge Barrier, including programme servicing of the mechanical, electrical and hydraulic equipment and systems of the Barrier. As part of a long established relationship with the rail transportation division of global transportation company Bombardier, Qualter Hall has over recent years been commissioned to manufacture numerous railway rolling stock steel components. At the start of the year Bombardier awarded Qualter Hall an additional major contract for railway rolling stock components, followed by a further extension in the middle of the year. This includes components as part of Bombardiers's contract to deliver new Class 387 trains for the Govia Thameslink Railway, for operation on the Gatwick Express. Later in the year a further major order was received from Bombardier as part of their contract to build eighty Class 387 trains for Porterbrook. Qualter Hall has been awarded a contract by main contractor Volker Stevin, for the design, manufacture, installation, commissioning and two years maintenance of the hydraulic, electrical and control equipment for the Flood Barrier. The Barrier is being built at the mouth of the New Cut of the River Orwell on Ipswich waterfront, to protect 1500 homes and 400 businesses from flooding as sea levels increase. Orders continued to be received for Qualter Hall's Hugh Smith range of large machines for plate bending and forming, including new and refurbishing of machines used for shipbuilding in the UK. Qualter Hall has continued to receive orders for their highly specialised work in supplying sophisticated equipment including robotics, for nuclear related projects.